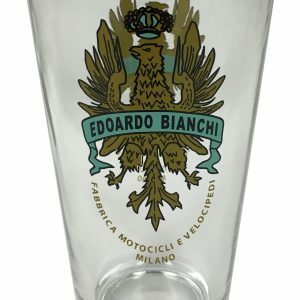 The famous image of the child wearing the Bianchi Cycling Cap that was a famous image for posters and advertising 60 years ago. 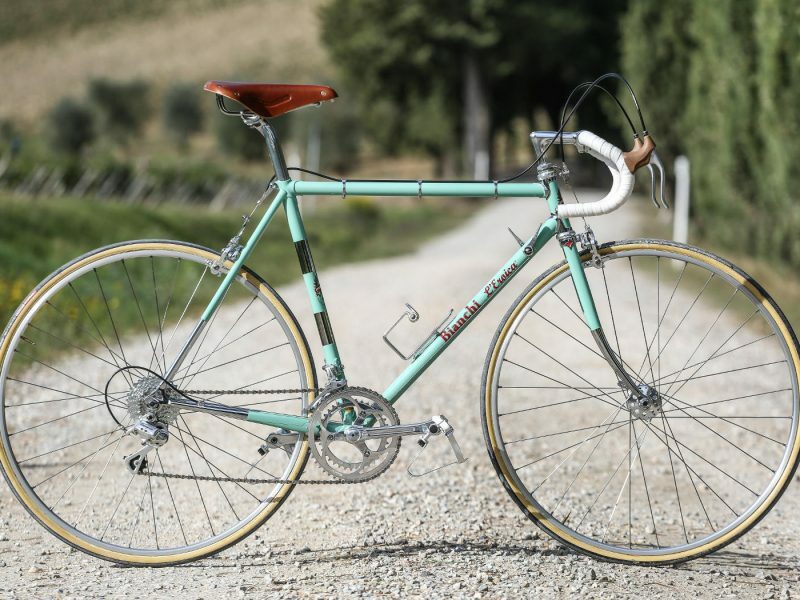 Remember those days of steel bikes, leather seats, tubular wheels wrapped around and yes coffee, a ton of it was consumed by both participants of the grand tours, organizers, and spectators. 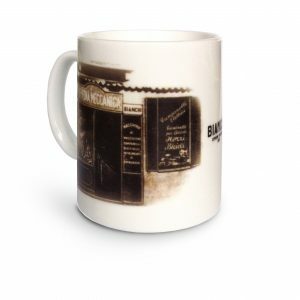 A time to remember imprinted on your favorite Bianchi coffee mug. 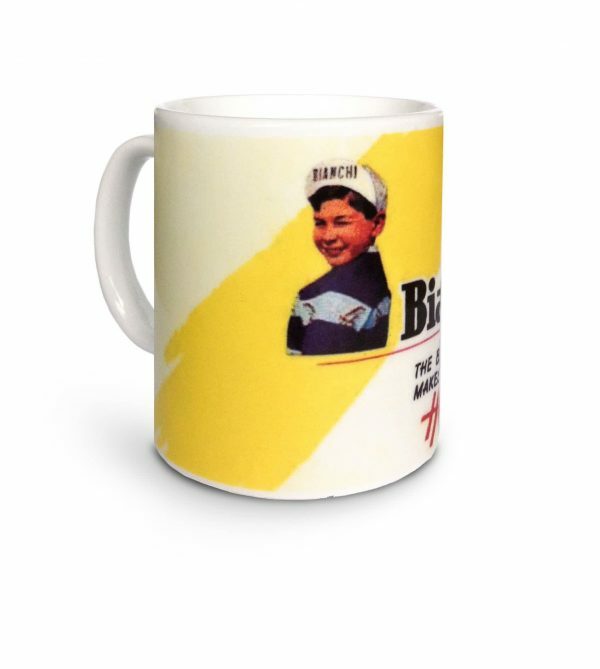 As part of the Bianchi Mug Heritage collection the Child mug is a must-add inclusion for any collector or Bianchisti (Bianchi fan). 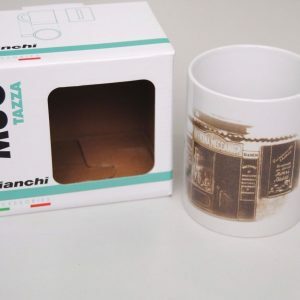 You can check out other Bianchi mugs like the Officina Meccanica, or the S9 Matta mugs here. A great piece for to own or to give as gift. 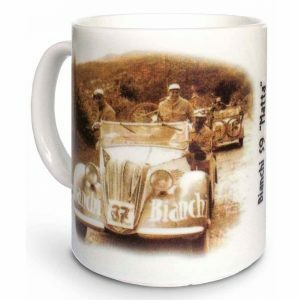 This ceramic mug featuring a famous Bianchi Poster is one to add to the collection or simply enjoy with a good brew.